Yggdrasil Brings Back Zeppelin With Cazino Cosmos! Good news for all Yggdrasil slot lovers! Indeed, the studio has announced that by the end of January they’ll launch a sequel to Cazino Zeplin. And the new game will go by the name Cazino Cosmos. According to rumours, the new slot will build on the most popular feature of the original game, which is, of course, the sticky symbols. But according to Yggdrasil, the new slot will offer a lot more to players, and here’s what we know so far! To sum up, the new Cazino Cosmos slot will go live in online casinos across Britain on 24th January. And the game still has a cool steampunk look and feel and similar characters too! But in this game players will visit a space ship and will have the chance to trigger even more features than before. Indeed, after looking at the upcoming slot, it appears to have an achievement builder feature like many Yggdrasil games. Which means that the new 5 reels, 3 rows and 20 paylines slot may appeal to the savviest players. And yet, according to rumours, the max win is 230,000 coins, and the slot will also have an RTP of around 96%. For now, Yggdrasil has not revealed the volatility index of the new game. So we’ll just have to wait a couple of days to know more about it. To conclude, on first glance this game seems to have everything to become a hit, just like its predecessor. In fact, Yggdrasil gaming has only built on the crowd-pleasing features and have even modernised the graphics. 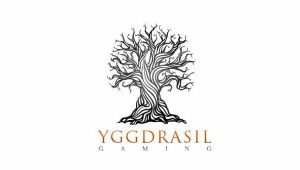 Yggdrasil games are available in many online casinos, like Cashmio, Casumo and Instacasino. And the good news is that these brands are famous for handing out Free Spins on new releases. So who knows, if you’re a loyal player who plays at any of these casinos… You could well have a surprise waiting in your account to try this game for free on 24th January!